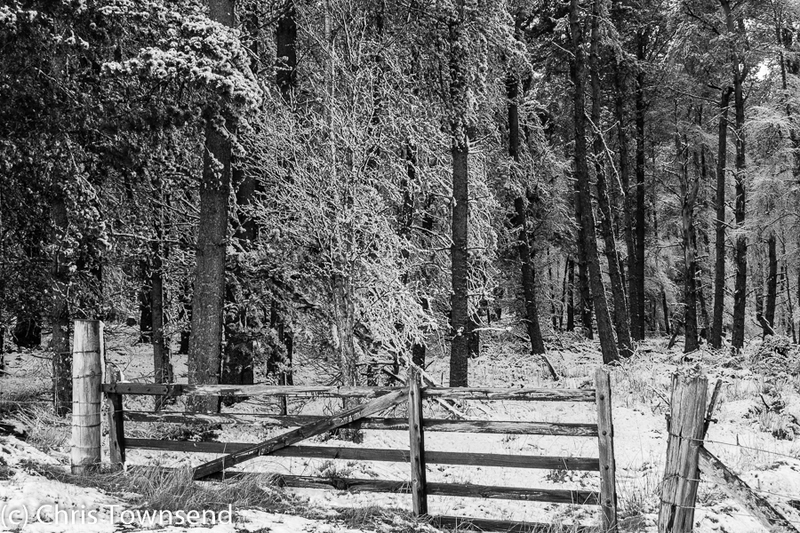 Chris Townsend Outdoors: Winter Returns: April Snow, Magical Forests, Blizzard Mountains. Winter Returns: April Snow, Magical Forests, Blizzard Mountains. The snow began softly two evenings ago, tiny flakes floating down to vanish on touching the wet ground. By morning though the snow was thicker and arriving on a strengthening wind. Slowly it defeated the warm earth and began to settle. The world turned white. 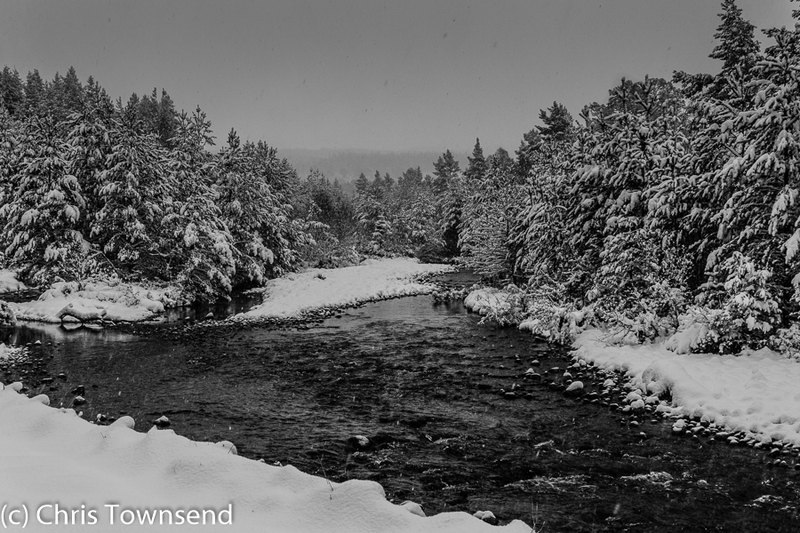 The snow continued, heavier and heavier, a blizzard now, blasting through the air, swirling through the trees. Late Afternoon and the snow stopped, briefly. Underfoot it was deeper than at any time during the last winter. Driven by the wind it had plastered the trees, leaving them looking more white and wintry than they did in the winter months. 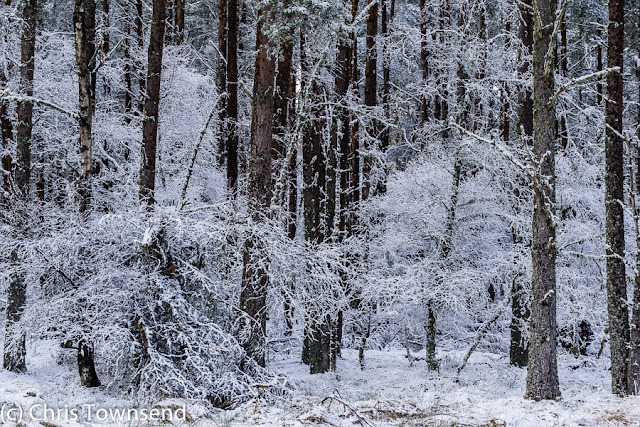 A magical coldness, the birches a tracery of thin white lines. All was silent, a deep, penetrating silence. It felt as though nature was waiting. Spring on hold, winter returned. That night the snow began again, falling into the morning and then the afternoon. I was due to take people for a walk in the Cairngorms, the day out a reward for supporting the British Mountaineering Council’s Mend Our Mountains campaign last year. Where to go in a blizzard? Meall a’Bhuachaille, a relatively easy, relatively safe hill. First we walked through the forest in a gentle snowfall. Wind rippled the waters of Lochan Uaine. Once out of the trees we felt the bitter wind. Ryvoan Bothy was a welcome shelter for a snack before the climb began. Over the years I’ve been up Meall a’Bhuachaille many, many times. Probably well over a hundred. But never before in conditions as arduous and challenging as this. As we climbed into the cloud and driving snow visibility vanished. The snow was often knee deep, sometimes more. 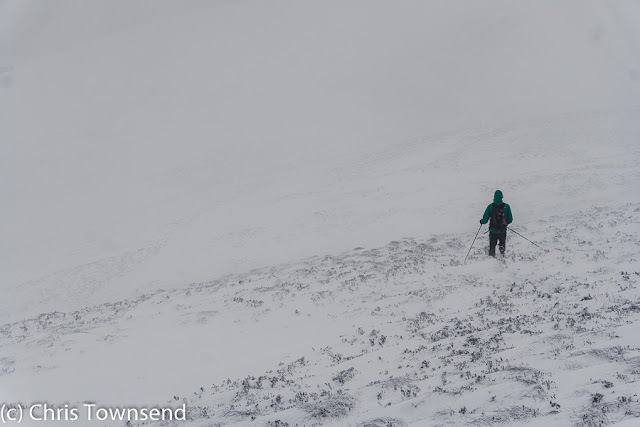 Post-holing up Meall a’Bhuachaille was not something I’d ever imagined doing. The summit was a blur of snow. We didn’t linger and were soon plunging through the snow down towards the forest and the shelter of the trees. For my companions this was their first visit to the Cairngorms. What an introduction! Full winter conditions. In the glens the snow is now slowly thawing. On the tops more is falling and the forecast says this will continue for several days. Maybe I’ll go skiing soon. Meall a’Bhuachaille is a cracking hill, although I've never been on it in conditions like those; one of the better examples of not judging a hill only by the height of its summit. 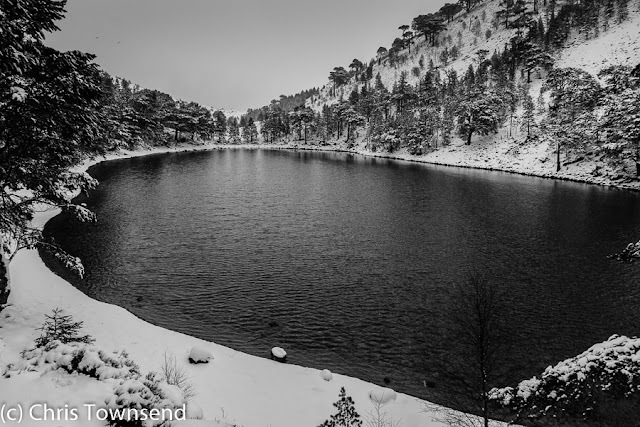 Oh, and a great idea to render the Lochan Uaine shot in monochrome.